Tickhill returned to the top of the Championship after defeating Darfield at Alderson Drive. 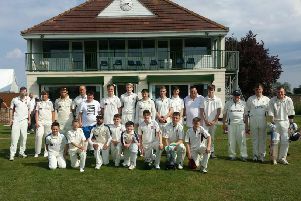 Darfield were invited to bat first and Alex Morris (44) and skipper Luke Billingham (39) put on 79 for the first wicket. Andrew Wood added 31 to enable a final total of 201-9. Michael Jepson took 3-76 and Alex Rowland provided the most problems by claiming 4-29. Tickhill had the game under control at 123-1, after 27 overs, when the deluge prevented further play and the game was awarded to them under the Duckworth Lewis Stern system. Michael Jepps was 42 not out and Liam Johnson 32 not out. It was unusual match at St Peter’s Drive between Conisbrough and high flying Houghton Main, which the Doncaster club also won on DLS. Houghton’s innings was in disarray at 69-6, despite an aggressive 40 from opener Ian Simon. Imran Khan was joined by skipper Michael Bates and the duo restored affairs with a stand of 91 at which point Khan left with 44 to his credit. Bates went on to complete an excellent 56 and raise a final total to 242-9. Conisbrough’s innings began with an opening stand of 89 between Joe Farmer (44) and Josh Whittaker (42). Gary Strephan was in good form on 32 not out when the rains came, at which point Conisbrough were in front of the run chase by nine runs at 135-3. Wath lost at home to Elsecar, also on DLS. Willing Cooper was run out for 32 and Damien De Vos carried his bat for an excellent 89 not out. 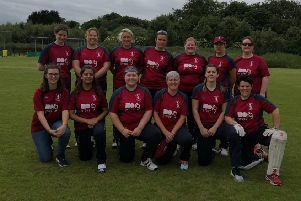 Wath were in a good batting position but failed to make the latter part of their innings pay and were 175-6 at the end of their overs. Muhammed Ilyas took 3-42. In reply Peter Hatfield hit a quickfire 30 and Paul Cummins was 29 not out when the weather intervened. Elsecar were well in front of the scoring rate required at 86-1 to claim the points under DLS.